A Journal of Literature, Romance and Information. Details supplied by Morgan Wallace. 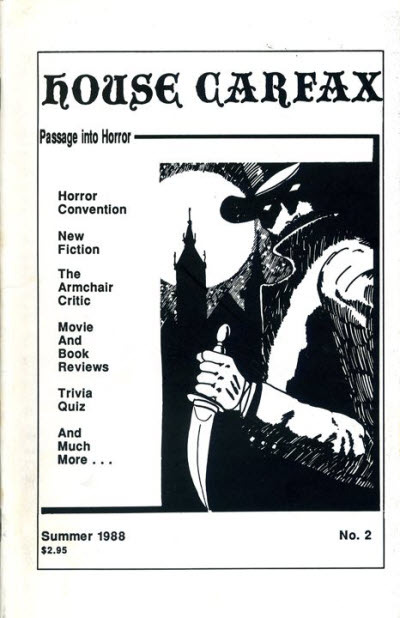 Editor Wright was a Greenwich Village regular, thus the inclusion of poet pals like Kemp and Hersey. Details supplied by John Locke from bound volume. 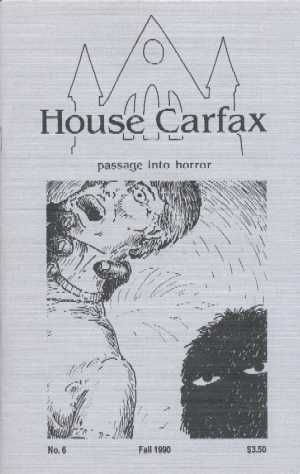 House Carfax Publications; San Jose, CA: House Carfax, #1  2 88. 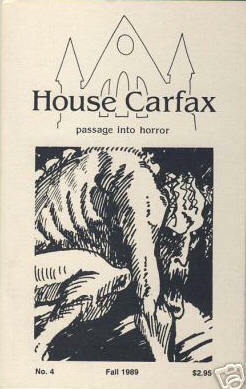 House Carfax Publications; Los Gatos, CA: House Carfax, #3 89. 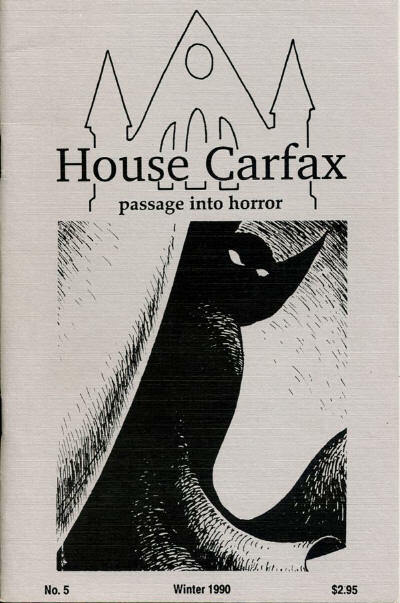 Joan C. Schramm - Editor: House Carfax, #1  3. Janadale Sylve-Wickersham - Editor: House Carfax, #1, 2, 4. 16 · Carcass · Charles Baudelaire · pm (r); translated from the French (Une Charogne, Les Fleurs du Mal, Poulet-Malassis et de Brosse, 1857). 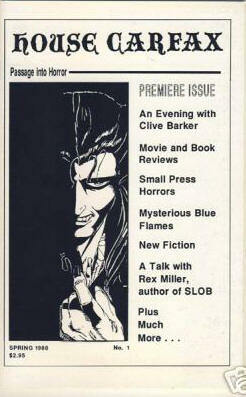 managing editor A. L. Nichols. Details supplied by John Eggeling. 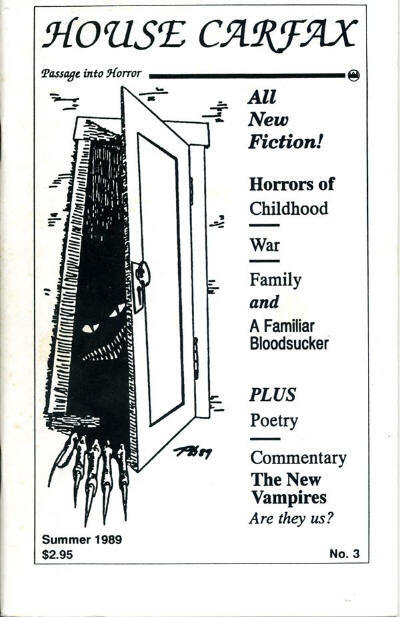 2 · At the Bottomer Side · J. M. Lewis · pm; a poem contained in a box, also on p 2. 3 · Day by Day Matters in a Country Home · Alice E. Wells · pm; a poem, but this may also be the title of the column of misc chit-chat which fills the balance of the page. 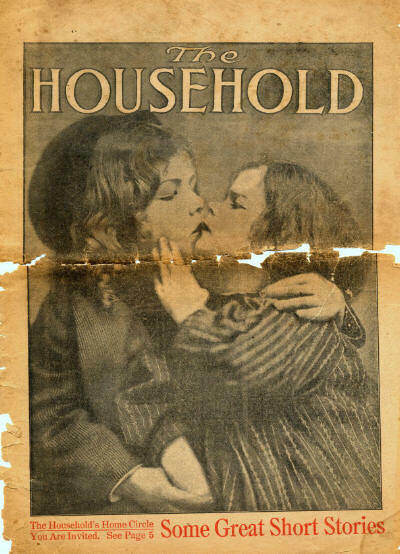 5 · Their Married Life · Mabel Herbert Urner · ss; syndicated, later bound as The Married Life of Helen and Warren. 10 · The Warning: Being a Story of Love and Mystery [Part ? of ?] · Mrs. Henry Wood · n. Macmillan 1900, as Anne Hereford; given as by Henry Wood. 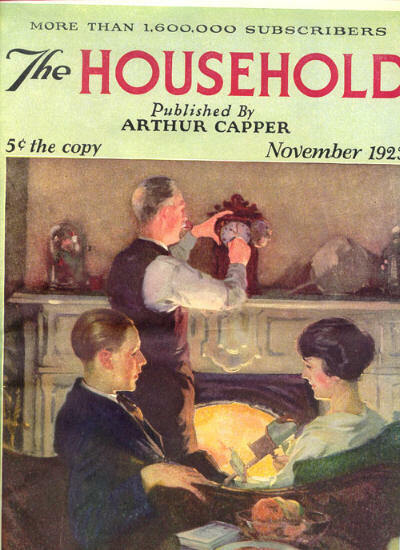 3 · A Dash for Home · Mabel Herbert Urner · ss; syndicated, later bound as The Married Life of Helen and Warren. 3 · Naming the Baby · Mabel Herbert Urner · ss; syndicated, later bound as The Married Life of Helen and Warren.